What Factors Make this Resort an Ideal Holiday Camping Site? 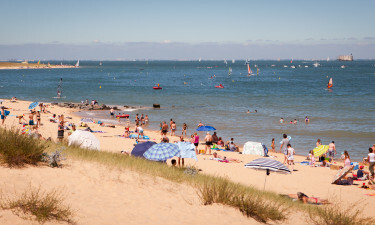 Signol is a luxury camping site found only 800 metres from the sandy shores of Boyardville Beach and the splendours of the French countryside. Anyone interested in choosing this spot for their next camping holiday should always make it a point to contact LUX-camp. A camping holiday set within 7 hectares of stunning beauty. 300 different pitches to choose from. The presence of mobile homes for luxury accommodation. The ability to swim in natural settings. 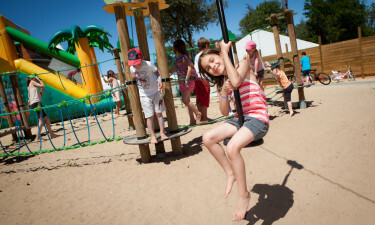 Although there is no doubt that this luxury camping resort is ideally suited for adults, any small children or toddlers arriving here are also catered for. There is a "Mini Fun Club" for little ones between 3 and 13 years old, and adolescents can likewise enjoy a "Fun Club" while on holiday here. Sports, cultural activities, fun and games are all on offer. Parents can enjoy a bit of private camping luxury while knowing that their little ones are being cared for. There are also family-oriented events during the evenings. The infrastructure provided at Signol is very impressive. There are 30 individual washing cubicles and baby changing rooms are found near the existing mobile homes. Tumble dryers and efficient washing machines can be found within a fully stocked laundrette. Each pitch is provided with its own power supply and of course, wireless Internet capabilities can be enjoyed by all guests throughout the tourist season. One of the benefits of this camping holiday is that the site itself is located within more than 100 kilometres of untouched nature and sprawling coastlines. As mentioned previously, Signol is found only a short walking distance from the beach and most families will marvel at the panoramic views offered. Local excursions into the nearby countryside will provide a tranquil getaway during any stay while regional markets and quaint towns can help to round out this luxury camping experience. There is a snack food outlet found within Signol. Here, families can pick up a quick takeaway meal or dine underneath the welcoming French sun. Hot and cold drinks, pizza, paninis, chips and other goodies are only moments away. 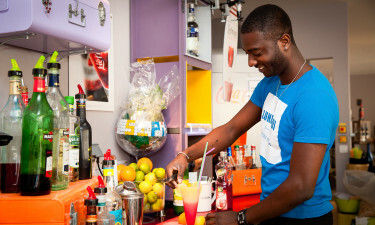 There is a bar to be enjoyed for those hoping to sample local French wines or a one-of-a-kind cocktail. This location doubles as the centre for evening entertainment during the height of the tourist season.